There are parents who want their kids to have an engineering degree come what may. There are agents who help 'crack' the exams for a fee. 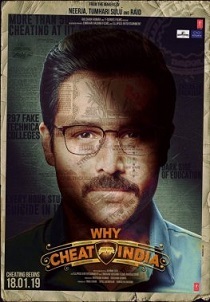 The film tackles the problem of rampant cheating in these exams but it gets so preachy about a failing system and talks so much, you cannot help but yawn..
Years Later, Emraan Hashmi Cheats Again & It’s Still Entertaining!